Reviewed on: Nintendo Switch. Copy purchased by reviewer. Let’s get this out of the way early: Blossom Tales is heavily influenced by The Legend of Zelda, in particular A Link to the Past on the Super Nintendo. It is a game where you play as a knight who has to travel the land, visiting different puzzle and combat-filled dungeons and find various items in the dungeons to fight bosses (including a bow and arrow, bombs and a boomerang). You can also upgrade your number of health hearts by finding heart pieces in the overworld and there is even a boss that is basically just Gohdan from Wind Waker on the Gamecube. 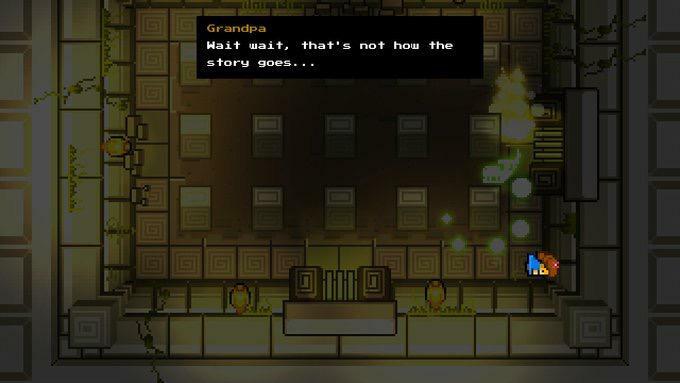 The opening cutscene essentially references its main inspiration; FDG Entertainment’s Blossom Tales: The Sleeping King wears its influences on its sleeve. The main question is: Is it still a good game? I see what you’re doing there, Blossom Tales. 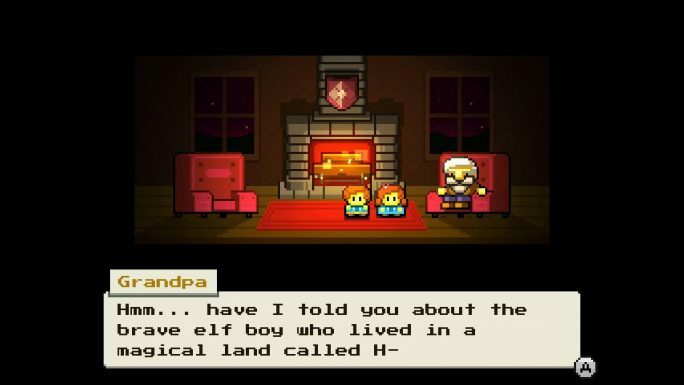 One thing that sets Blossom Tales apart from its obvious inspiration is its framing device, where the game is in fact just a story being told by a grandfather to his grandkids, Lily and Chrys. 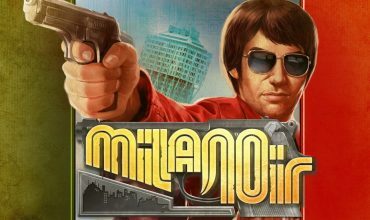 This storytelling device works a lot in the game’s favour, and manages to excuse the fairly thin and clichéd plot by sending up and subverting many of the tropes of the genre. For example, instead of rescuing a princess, you play as a female knight recruit named Lily, and there are no damsels in distress to be found. Many of the random NPCs also have funny lines, and at times Chrys and Lily intrude upon Grandpa’s narration and try to influence the story. In some instances, you even get to decide which of the grandchildren’s demands the storyteller ends up going with, which has minor gameplay impacts, but is still kind of charming. I think having to choose between Pirates or Ninjas is the hardest decision I have ever had to make in a video game. The game makes some extra concessions to modern game design that make it more accessible than A Link to the Past. For instance, you have a constantly recharging magic metre, and your bomb and arrow supply uses magic rather than ammunition, meaning that you never have to worry about running out, which helps greatly. 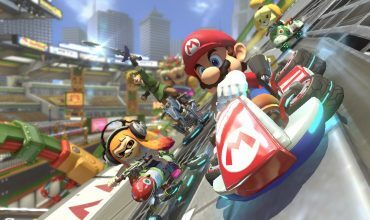 It also introduces the game’s fast travel system early on, which makes getting around quite painless. The game also looks and sounds great. Blossom Tales makes great use of its SNES-era pixel art and soundtrack, and even though things might look a little familiar for anyone who has played a lot of SNES games, the world of Blossom Tales is fantastic to experience. I can’t say that I appreciated many of the side quests; they mostly consisted of “find 20 feathers dropped by enemies” or “kill X number of evil trees”, which got a bit tiresome and lacked the imagination of the rest of the game. Granted they aren’t really necessary, unless you are trying to unlock all of the health and magic upgrades, but trying for 100% completion sounds like a chore. I found the dungeons to be fairly well designed, however; while many of the puzzles, bosses and enemy types are straight-up clones of well-known Zelda fare, albeit distinct enough so as not to be identical. I would argue that this isn’t necessarily a bad thing; after all, if you are going to borrow, borrow from the best, right? And that leads into my summary, which is that this game is essentially an unofficial 2D Zelda game, and I think that’s all right. Neither the Switch nor Steam has A Link to the Past available for purchase, and so it is just right that a developer like FDG Entertainment comes in to fill that niche. Sure, it is derivative, but Blossom Tales’ homages to past Nintendo games come from a place of love, and it is clear that the developers were focused on making a great game and capturing what made the games it is inspired by good, rather than simply copying out of a lack of ideas. 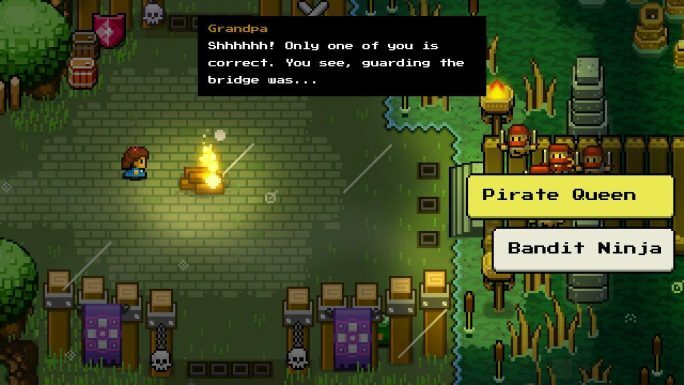 Until Nintendo brings a fully-fledged Virtual Console to the Nintendo Switch and makes its classic Zelda games available for purchase, a well-designed imitation is the best you can hope for, and for $20, you can do a lot worse than Blossom Tales. Sure, it’s a riff on something you have probably played before, but if you are willing to overlook Blossom Tales’ lack of new ideas and accept it as the A Link to the Past tribute act that it is, you will have a good time. This game is very charming, boasts some good puzzles and boss battles, and is very good value for its price. So if you are a Switch owner and there is a classic-era Zelda-shaped hole in your life that needs to be filled, I couldn’t recommend Blossom Tales: The Sleeping King enough.